Gingerbread Cookies Recipe Video + Guide | What’s for Dinner? Learn how to make gorgeous gingerbread cookies to rule the holiday dessert table. Add 1 stick of room temperature butter and 3/4 cup of packed dark brown sugar to a separate mixing bowl. Beat until creamy using a stand mixer or hand beater. Crack 1 egg into the butter and sugar mixture, and add 3/4 cup of molasses. Return the bowl to the mixer until a smooth dough forms. Remove dough and sprinkle all over with flour. Form it into a thick disk and wrap in plastic wrap. Firm up dough in the freezer for 1 hour. Remove the dough from the freezer and preheat oven to 350°F. 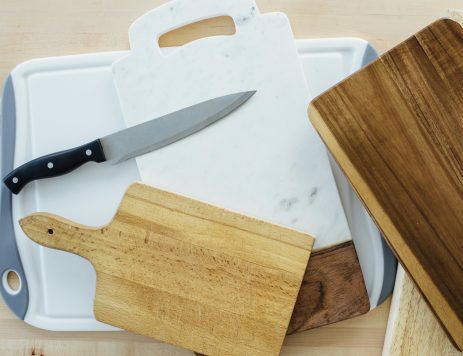 Dust a marble board (or a cutting board) with flour. Place the dough on the board and cut into quarters. 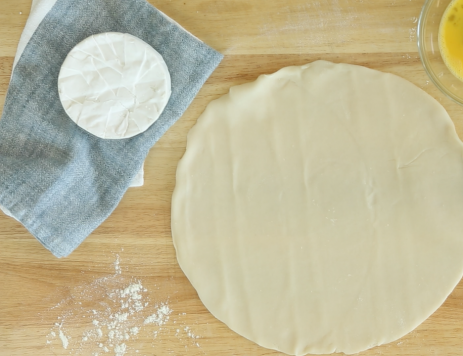 Roll out one quarter at a time to the thickness of a pancake. Add flour as needed to prevent sticking. Lay each cookie on a baking sheet, lined with parchment paper. Bake for 10 minutes. Repeat with the rest of the dough, baking the cookies in batches. Lay the baked cookies on a rack to cool. Add water (a tablespoon at a time) to store-bought icing until it’s the consistency of hot fudge. Spoon icing into a pastry bag (or use a large, resealable plastic bag with one cut in the corner). Draw dots, lines, and other designs onto the cookies with the icing. Add sprinkles and candy for a finishing touch! The icing acts like glue to keep them on the cookie. Set out butter at room temperature 30 minutes before making the dough. Start in advance. The dough needs to chill for 1 hour before rolling, and the cookies need to cool after baking before you can decorate them. Use a marble board if you have one. It’ll keep dough chilled while you roll it out. Keep plenty of flour on hand for dusting work surfaces so the dough doesn’t stick. Use store-bought royal icing to save time.